The U.S. 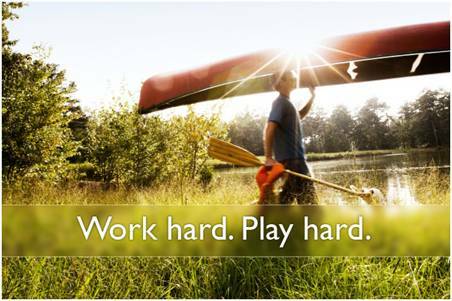 Recreational Transportation Sector Tells the Rest of the World to Go Out and Play! John Vanderwolf is an industry economist for the Office of Health and Consumer Goods and has been covering recreational products for 25 years. There is no doubt that Americans love to recreate and travel. U.S. manufacturers have responded and built fun, recreational products like motorcycles, pleasure boats, RVs, All-terrain Vehicles (ATVs), and other fun transportation to make us happy. Well, over the last 20 years foreign markets have begun to experience this fun transportation. Servicing the U.S. market has given this industry an economies-of-scale advantage that negates the high cost of transportation. As a result in 2011, the U.S. recreational transportation sector enjoys a significant trade surplus of $1 billion which is 13 percent of total sector exports of $7.6 billion. The theme of “Work Hard, Play Hard” is being exported all over the world, selling to over 125 countries. The Top 10 destinations for U.S. recreational transportation products are Canada, Belgium, Australia, Japan, Mexico, Germany, China, Brazil, Italy, and the United Kingdom. U.S. exports of these products have increased 13 percent annually since 2009 and are estimated to exceed $8 billion in 2012. That’s a lot of hard work that deserves more hard play.